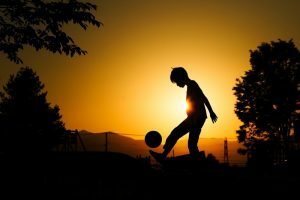 What do you think is the most important aspect of being a great soccer player? Is it accuracy while passing? The strength of your shot? Or your ability to dribble the ball between your legs? While all of these are integral to your ability as a soccer player, I believe the most important aspect of being a great player is speed. Speed is everything, especially when it comes to soccer. 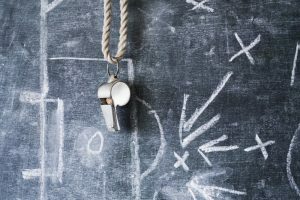 If you have the proper technique to be as fast as possible on the field, it will allow you to outrun most players, be fantastic on defense and race towards the ball first, beating your opponents. 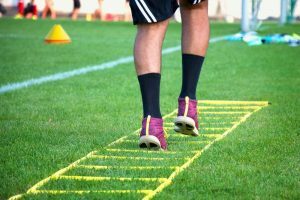 Most people overlook the necessity of speed while playing soccer, and I believe it is something you must constantly be focusing on if you want to become a professional player; soccer speed training is integral to your success. Before I dive into a training program that I think will develop your speed and your abilities as a player, I want to let you know a bit about me. I was always running as a child. In fact, when my mom would take me on walks or to the mall, she had to put me on a leash because I was far too fast for her. Sometimes when my parents weren’t looking I would just take off and it became impossible for them to catch me. While it was cute at first, this scared them, and they knew they somehow had to channel my energy. The solution? Competitive sports! My parents enrolled me in a young children’s soccer league and the rest, as they say, was history! I had this ability to outrun everyone on my team without getting tired. It was just a skill I was born with and something my coaches admired. This carried me through my elementary and high school teams, playing in the highest leagues outside of the classroom for my age. However, when I was approaching the time to play college ball my coach told me that I really needed to start focusing on my soccer speed training. I brushed it off, thinking I didn’t need it because I was the fastest person on my team. Oh boy, was I small-minded! Eventually I did get on a college-based team, and when I arrived I was no longer the big fish in a small pond, I was the exact opposite! In fact, I was one of the slowest on the team. I could not believe it and vowed to follow my coach’s suggestion and take my soccer speed training seriously. While I was in college, I did do a lot of practice and training with my coaches, but none of it was really improving my skills. It was then I turned to the Internet to find the best possible training system that would really strengthen my speed. That is when I came across “The Epic Soccer Training System”. At first, I didn’t know whether it would be worth it, as I already was getting a lot more practice then most people do. However, it was such a reasonably priced system that I decided to take a chance and bought the full package. 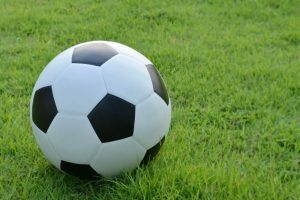 “The Epic Soccer Training System” changed my soccer skills for the better and was the best training I have ever received (that includes my coaches at college)! The reason? It completely focused on my soccer speed training skills. Matt Smith, the man behind this system, has developed a series of drills and exercises that make you an all-around fantastic player. The main reason it did wonders for me is because all of his training is done at a simulated game speed so you can apply them in a fast, high-paced format from the get-go! Rather than slowly doing drills, and then speeding them up in a game, this system starts you doing them as fast as possible because Matt understands that speed is a necessity in being a great soccer player. The system not only enhanced my speed but also pushed it further then I could ever have imagined. I cannot recommend this soccer speed training system enough, and believe it will work wonders on your playing ability!